We are a commercial and residential plumbing, gas, maintenance, and mechanical company that has been operating for over a decade. We are community based and believe in giving back! Concept Plumbing & Gas Ltd., is a commercial and multi residential mechanical company that has been operating since 2004 in Abbotsford, BC servicing the Greater Vancouver and Fraser Valley. Concept has completed over 60 major projects since opening their doors and has continually done repeat business with clientele. 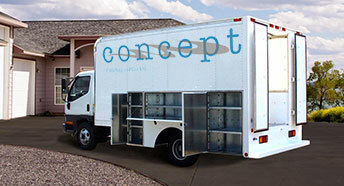 Concept is an accredited Better Business Bureau Member and has begun to build their service and maintenance side of the business, concentrating on the Fraser Valley. We have the best plumbers, and can come to you! We service areas such as Langley, Abbotsford, Aldergrove, Mission, Maple Ridge, Chilliwack, and Surrey. If you need a plumber fast, please call us for a free estimate. We are reliable, insured plumbers, that do both commercial plumbing and residential plumbing jobs all over the lower mainland.